Find Your Fire Magic Grill HereFire Magic has been building barbecues and outdoor kitchen components for over 75 years. Think they may know a thing or two about outdoor kitchens? You bet they do! 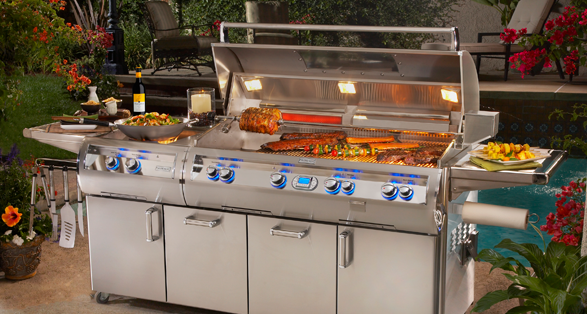 Whether you purchase one of their famous top of the line Fire Magic Echelon Diamond Grills, Aurora Grills, Choice Grills or a Legacy Grill, you will be amazed at the quality and performance. The warranty is one of the best on the market. Come see why Fire Magic sets the standard all other barbecues are chasing at Portland Barbecue Shop.